We make a big deal out of virtually every part of a move–from finding a place, to packing up your stuff, to making sure the move goes smoothly–moving day has been talked about and talked about. Nobody ever brings up what happens right after the move is finished, however. We’re talking about either later that day if you finished moving in the morning, or maybe the next day if you had your movers stay that night for a move-in party. The “what now?” period; that weird couple of hours/days where you’ve finally stopped rushing for long enough that it’s settled on you that this is really happening. You’re in a new, unfamiliar place. Suddenly, your life looks different–literally and figuratively! Those transitional days can feel equal parts surreal, uncomfortable, and melancholy. Moving is considered one of the most emotionally stressful life events that most of us go through. Humans crave routine, and any disruption of routine that extreme will change the way you look at yourself and your life, and might even induce a panic. We know this might sound kind of silly: after all, you’re happy about moving! You’re not so sensitive that you have to worry about what something you want is going to do to your emotions! It can be tempting to just soldier through the trying time of the early post-move and pretend it’s not affecting you. That’s not a great way to deal with emotions, however. Instead, we recommend you acknowledge if you’re feeling melancholy about your new life status, and take some proactive, determined steps towards putting your best foot forward. That starts with getting your bearings. When you move into a new place, it can be unfamiliar in an uncomfortable way–so familiarize yourself with it! Here are a couple easy things you can do to make sure you make sure that this transition into the newest chapter of your life goes off without a hitch. Congratulations on the move! After you unpack everything, the dust has settled, and you’ve taken a minute to relax, set aside some time to make a plan. Put together a list of the things you need or want to know about your house. Where’s the circuit breaker? The water and gas shut off valves? The thermostats and water heaters? The septic tank? The sump pump? The water softener? The furnace? The air conditioner? The fire alarms? Make this list as exhaustive as you can and take your time. Once you think you’ve included everything you think you need to know about your house, go down that list and locate each of these things. Consider writing down their location and a little about how to use them. A self-guided home tour will let you familiarize yourself with your home and give you a sense of ownership and pride. Owning a home is a great thing, and you deserve to feel good about it! Make your new home cheat sheet your own and it’ll help you feel a lot more confident about how well you know and understand your new home. Having all this information will provide answers to the nagging “what will I do if ____” questions, and help you get back into a routine that much faster. There’s a reason why housewarming parties are such a prevalent tradition (besides scamming your friends into getting you some free food). When you have the familiar faces of the people you love at your new place, and you’re enjoying spending time with them just like always, it normalizes the idea that you live here now. You have the opportunity to start making good memories of your new home. Plus, everyone will be very complimentary, and say things like “wow, this is so nice!” and “you have great taste!” That will remind you that you did a pretty cool thing and will let you start to think of your place as a part of your life. Maybe you can’t or don’t want to have a party. That’s ok, too. Parties may not always be practical, especially if you moved far away from your friends and family. Schedule some time for a loved one to come visit you. Offer to help pay for your best friend’s plane or bus ticket. Schedule this in advance for shortly after you move in. Maybe your friends could even help you move and then stick around for awhile. Having someone there with you will give you someone to talk to about all the new things you’re experiencing, which will give you the chance to contextualize them in your own head much more effectively. This, in turn, will help you figure out your new routine faster. Moving into a new place can feel lonely. Suddenly everything seems different and you don’t know how to feel. Having a friend or family member over will help remind you that not everything has changed, and will help you transition from one stage of your life to the next. Your new home doesn’t just include the physical place where you live. It can be fun and exciting to get to know your new town or neighborhood, too. Go out and do something after you get moved in. It doesn’t have to be extensive or fancy; if you just want to walk down to the public park nearby and check things out, that’s fine. If there are any good, local restaurants you haven’t tried, now’s the perfect opportunity. Or maybe you want some McDonald’s. That’s cool, too. Going out and exploring the new place where you live is a great way to make you feel like your move was real. When you go to your new grocery store, for instance, you’ll unconsciously start following a new pattern for your shopping. That will become another new routine for you, which will help normalize your new life. If there are any community events, like neighborhood cookouts, they would be a really great opportunity to meet your neighbors and get the lay of the land. If, you know, you like meeting people. Someone does, we’re sure. Going out will have a bonus effect, too: when you return back to your place, it will feel that much more familiar as a “base of operations,” so to speak. After going out and being stimulated, you can relax in the comfort of your home, which will help you feel like it is your home. There’s no reason to rush into anything you don’t want to do, however. Explore your new neighborhood as much or as little as you’re comfortable with. 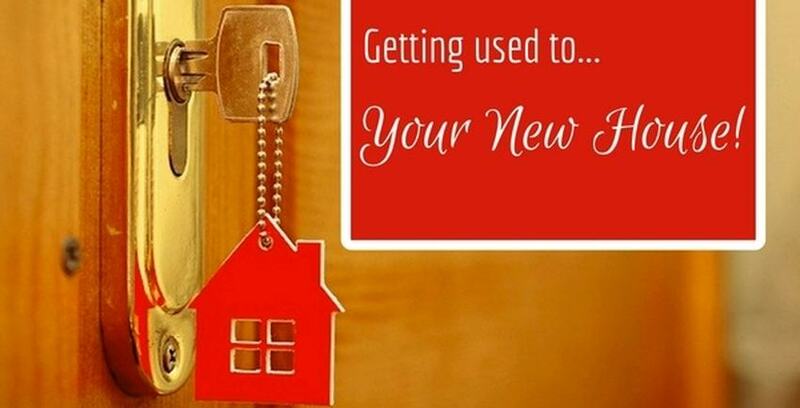 Most importantly, don’t stress out about wanting to “feel” like you’re connected with your new home. You’ll feel more and more normal once you’ve had some time to adjust and have re-established a routine. Don’t beat yourself up if you feel like turtling for a couple weeks after getting moved in. Moving somewhere new is a lot to take in. One of the worst parts about moving in is when you don’t have furniture yet or haven’t finished unpacking everything. Then your new place looks bare and cold, like no one lives there. Seeing your place looking like that contributes to your feelings of alienation. That’s why it’s important to make your home feel like your home right away. Arrange your furniture the way you want it! Put up that poster of the incomparable Willem Dafoe! Get your sweetest gaming rig fully operational! Or, you know. Whatever you’re into. It’s easy to think that decorating or unpacking personal effects is frivolous or unimportant, just like it’s easy to ignore or suppress any weird moving feelings. Don’t do those things. Instead, give yourself a break: unpack the stuff that makes you happy. These are the things that’ll help you feel like you’re at home. If your clothes have to stay in boxes for another night or two, what’s the big deal? That brings us to our last piece of advice: the best way to make your new home feel like home is to just relax. Do what you would do on any other quiet night at home. Watch a movie, read a book, practice kung fu in the basement–whatever you do to unwind. This is probably the most important part of establishing a routine. You have to teach yourself that this place is your new home, and to do that, you need to feel at home. Moving is weird. It feels silly to think of it as traumatizing, but it’s a huge, stressful life change. Think about it: your whole life is changing! It’s totally understandable to feel a little woobly about that. In fact, it’d be kind of strange if you weren’t; who’s that laid back? What are you up to?! You’ve probably been putting self-care on the backburner while you’ve been rushing around to finalize the big move. Now that the big move is (mostly) finished, however, you can breathe. Once you confront your feelings and get some perspective, you’ll probably find you didn’t have anything to worry about. You’ll get back into a new routine and life will go on. If you don’t confront your feelings, they’ll get all bottled up inside and will build and build until you explode and burn the house down while cackling like a evil witch! And then you’ll have to do it all again! Also you’ll be wanted for arson. But mostly you’ll have to do it all again! If you’re stressed out about how much stuff you have laying around, or if you need help with any other aspect of a post-move problem, get in touch with Storage Direct today. We have facilities that are the right fit for you, so you can rest assured your stuff is safe and work on getting used to your new routine.